The connections between people and the outdoor environment are not always immediately obvious. It has been noted numerous times, for instance, that in periods of high stress or disaster people, specifically, and communities, in general, seek out and create avenues of sudden nature exposure, or, as it is termed by (Tidball, 2012), express “Urgent Biophilia.” Many communities forced into immediate distress by either natural or man-made disasters focus suddenly on greening a place through an increase in urban gardening, tree planting or other environmental stewardship. Numerous war veterans find relief in gardening. Gardening is also an established therapeutic activity for people who experience autism. (Louv, 2005). In short, high stress seems to bring out a need to connect or “…an affinity for other living things…” (Kellert and Wilson 1993). As in the diagram copied below, Tidball proposes that the stress release creates a “back loop” (the green areas of the cyclic ribbon) in which those times during and just after the greatest stress are the times of the most urgent biophilia. He proposes further that conservation or environmentally-minded legislation (an investment in policies that protect the environment) tends to sit within those periods of community involvement. This space is where humans try to find direction to demonstrate resilience and adaption in times of crises. That this demonstration of resilience is frequently expressed through nature exposure is worthy of note. It is a popular thought in environmental/ecology education that involving people in the outdoors gives them a real grasp of the nature of the environment and their place in it. In theory, it also gives learners a chance to develop numerous layers of higher level thinking, as supported by authors like (Spellman et al. 2015). While evidence of this, by and large, seems to be proven true by many, the ability to relate experiences of the (wild) outdoors to urban life frequently seems a difficult connection to make. Many environmental programs that take learners to the distant outdoors and far off farms find that, while on the individual level learners often make deep personal discoveries, the ecological/environmental connections in their daily life are not discovered. ‘Environment’ and ‘outside’ get termed far away and not ‘here‘, by urban learners. Many organizations have found, however, that exposing these same learners to the environmental community near them (i.e., local community gardens, park stewardship, urban waterway health monitoring and general urban environment/nature exploration) not only proffers an easy connection to self and environment but also promotes a sense of environmental responsibility and stewardship (Kransy and Tidball 2010). Discussions and teachings about ecological/environmental learning benefit from an awareness that the types of connections people make with nature and the environment need to be proximate and pertinent to the world the learners live in. Otherwise ‘environments’ are seen as ‘out there’ and not as affecting the individual. Communities where environmental education programs are implemented and thoughtfully intertwined with local activity lead to better community/environmental stewardship. This brief discussion is just meant to lightly illustrate that at our best we are creatures of our environment and our success/survival depends on keeping in mind where that environment/our safety net is. Divorcing ourselves from understanding that the environment is not just out there but right here cuts the strings to a significant resource in education and wellness, just under our feet. Kellert, S. R., & Wilson, E. O. (Eds.). (1995).The biophilia hypothesis. Island Press. Krasny, M. E & Tidball, K. G., (2010). Urban environmental education from a social-ecological perspective: Conceptual framework for civic ecology education. Cities and the Environment (CATE), 3(1), 11. (Louv, R. (2005). 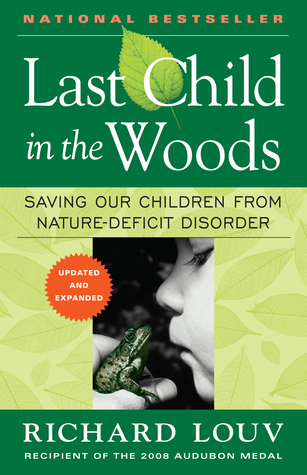 Last child in the woods: Saving our children from nature-deficit disorder. Algonquin Books. Spellman, K. V., Deutsch, A., Mulder, C. P., & Carsten‐Conner, L. D. (2016). Metacognitive learning in the ecology classroom: A tool for preparing problem solvers in a time of rapid change?. Ecosphere, 7(8). Tidball, K. (2012). Urgent biophilia: human-nature interactions and biological attractions in disaster resilience. Ecology and Society, 17(2). This post will expand upon Banafsheh Khakipoor and my experience at DigiFabCon (www.digifabcon.org) held in Boston, MA in March 30 – April 1, 2017. For those unfamiliar with makerspaces, they are a place where people with fabrication, computing or technology interests can gather to work on projects sharing ideas, equipment, and knowledge. The convention attendees were a mixture mostly composed of makerspace enthusiasts, educators, and professionals. DigiFabCon offered two days of lectures and a day of hands-on workshops held at local Boston makerspaces. I will reflect upon my experience of bringing biomimicry into makerspaces in a practical manner.